Dishonored earlier this year was one of the best (optional) stealth games released, infact it probably was. The beauty of the game was choice, which Bethesda is known for publishing, and it just happened to be a great sneaky experience if you wanted it to be – or if you preferred to just kill your way through the game you could. Alot of games these days get lost in cut-scenes, dialogue and visuals, Dishonored pretty much got to the point quickly. Letting you slice, sneak and adventure without too much of an interruption. The first DLC released continues with this tradition, this time with less choice, but more focussed around the actual gameplay and the way you choose to meet the challenges. 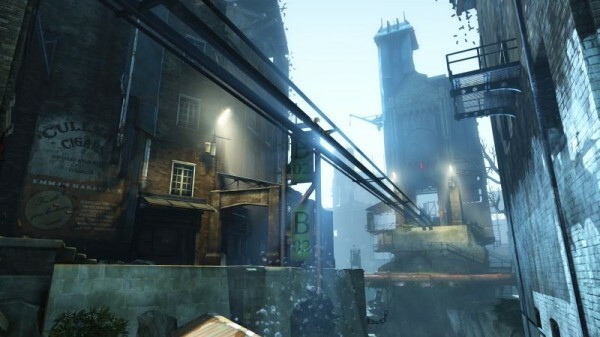 Dishonored features a rather artistic visual design, though this design does appear dated in a number of areas. The title features large amounts of texture pop and blurry objects. Thankfully this isn’t too much of an issue however considering how stylistic the game is with its steampunk designs and its Victorian England appearance. The characters themselves are similarly stylized, though some of their faces appear slightly warped. Thankfully the character animations are fluid both in combat and standard motion. As far as environments go, Dunwall and the various environments the player will venture through are handled so well that gamers will feel the desperation and squalor that the city has devolved into, with corpses littering the streets and entire buildings condemned due to the plague. One thing that helps contribute to the fact that Dunwall feels so atmospheric is the fact that the audio work is amazingly well handled. Guards talk nonchalantly as they continue on their routes, survivors cry in hidden areas, rats scurry through alley ways, eating anything they come across and more, all set to some rather eerie background music. It also helps that the title features some rather impressive voice work done by the various characters the player will come across. These voice actors all do a great job with their characters, especially when it comes to the voice actress for the mysteriously deranged Granny Rags and many other members of the main cast, especially the voice of one certain object the player carries with them everywhere. The DLC for Dishonored gives you 10 challenges to meet, but allows you to dabble in all of the gameplay abilities. 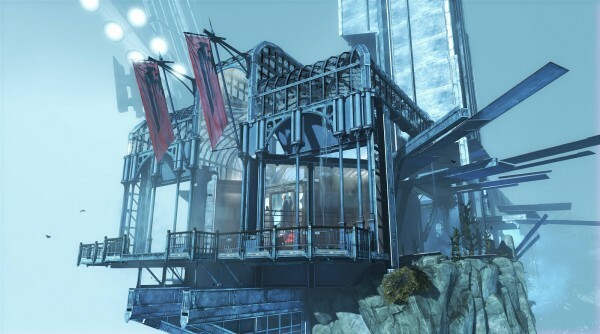 The Dunwall City Trials DLC offers several standalone challenges, each of which features a specific style of play. There is no story however, you’ll have to wait til 2013 if you’re after that. The challenges are basically broken up like this; two stealth trials, three combat trials, two puzzle trials and three movement trials. Some may argue that Dishonored is a stealth game, I would argue it’s more of an action game that encourages stealth because of it’s surroundings, Dishonored’s story mode requires you to employ all of the above skills at some point. I found that Dishonored was easier when using purely stealth methods, but it was the most fun, so some may disagree. Go on a killing spree and watch what will happen, if you were to use purely combat moves, you’d probably die . So I can see why Dunwall City Trials makes sense as the first DLC release, because everyone played differently, but the majority used a hybrid method of play. Dunwall City trials breaks this up and it’s fun, it doesn’t matter which style you like the best, there’s something for everyone. Given Dishonored’s roots are in stealth gameplay, It’s no surprise that the stealth challenges are the most fun of the bunch, followed by the movement and then combat trials. Puzzles aren’t really my thing, but it may be yours, if you’re into finding the right vantage point for a kill. And if you’re a big fan, being rewarded with expert challenges and some concept art might be nice. However I found the difficulty pretty grueling and concept art is nice, but it’s more novelty. Dunwall City Trials doesn’t play to Dishonored’s best attributes, which is hybrid gameplay and experimentation, followed by the story. If you’re waiting for that, the DLC does offer value in pure content and a nice distraction from a bigger incoming DLC. Dishonored: Dunwall City Trials is a meaty release for just $4.99, there’s certainly enough content for what you get and it’s a good prelude to an incoming DLC based around the games story. There is some flaws, the time challenges in particular can be frustrating due to Dishonored’s already sticky movement and wobbly targeting. 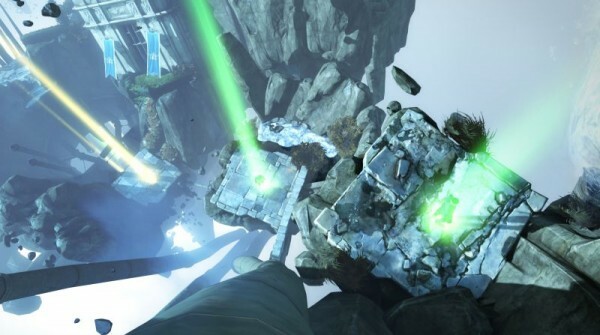 Figuring out a teleport jump against the clock was sometimes clunky, depending on your controller it might be a different experience (reviewed on 360). However releasing a DLC based around all different styles of play is a good move, and certainly one that can be justified given the price tag.